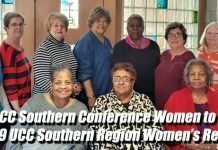 What do Praxis UCC (Americus GA), Unity UCC (Montgomery AL), Circular Congregational (Charleston SC), Church of the Savior (Knoxville TN), and Open Table UCC (Mobile AL) in common besides being congregations in the Southeast Conference? They are all recipients of a Neighbors in Need grant from Justice and Witness Ministires. Neighbors in Need (NIN) is a special mission offering of the UCC that supports ministries of justice and compassion throughout the United States. Most UCC congregations will receive the NIN offering on October 2, 2016 as part of their World Communion Sunday observance. Two-thirds of the offering is used by the UCC’s Justice and Witness Ministries (JWM) to support a variety of justice initiatives, advocacy efforts, and direct service projects through grants. One-third of NIN funds support the Council for American Indian Ministry(CAIM). Plus, we have Southeast Conference congregations like Garden of Grace who have been part of mission trips to CAIM churches in South and North Dakota. The 2016 theme for NIN is “This we believe” and connects the issue of child hunger to the work that UCC congregations are doing to serve their community and address this injustice. Neighbors in Need grants are awarded to churches and organizations doing justice work in their communities. These grants fund projects whose work ranges from direct service to community organizing and advocacy to address systemic injustice. Funding is provided through donations to the Neighbors in Need offering. 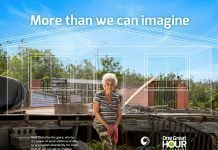 One Great Hour of Sharing is March 31; Plan Now!